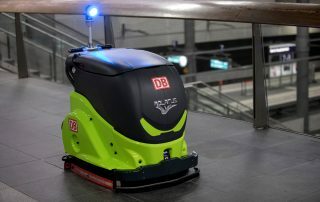 So far Monika Rosmer has created 31 blog entries. 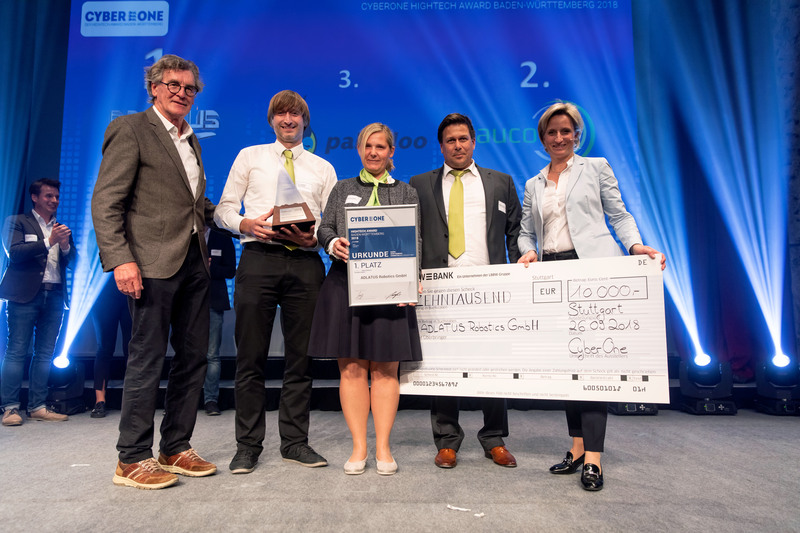 DeepTech4Good is an Acceleration Programme, financed under the Horizon 2020 framework, committed to help Deep Tech startups accelerate their development and scale up at European level. 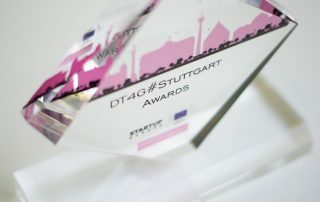 We are proud to won the DeepTech4Good Award in Stuttgart at the beginning of November 2018. 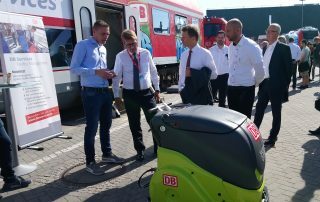 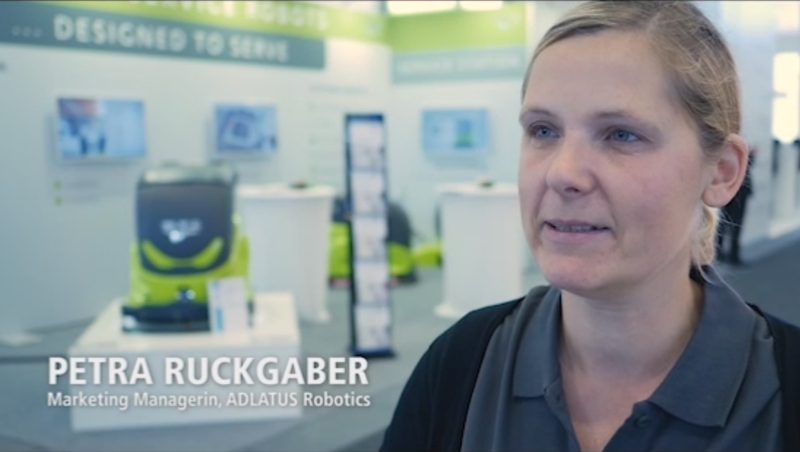 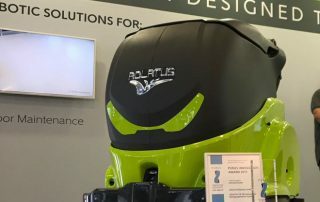 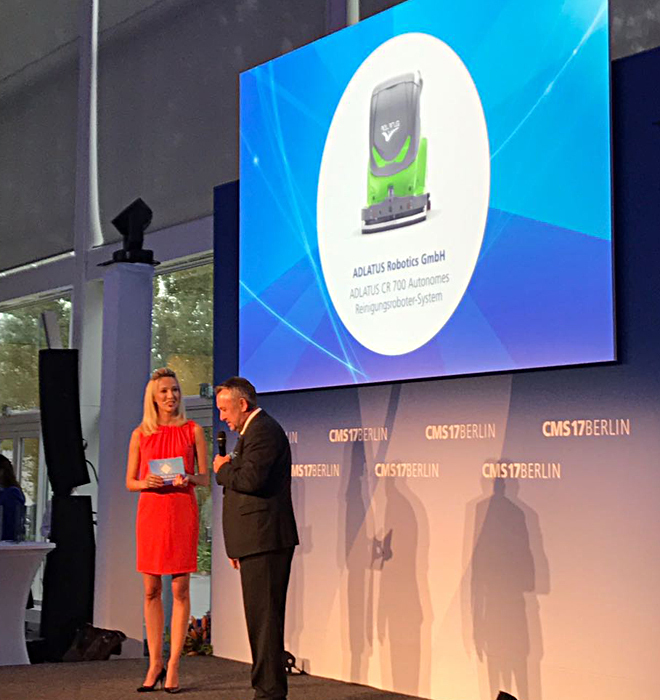 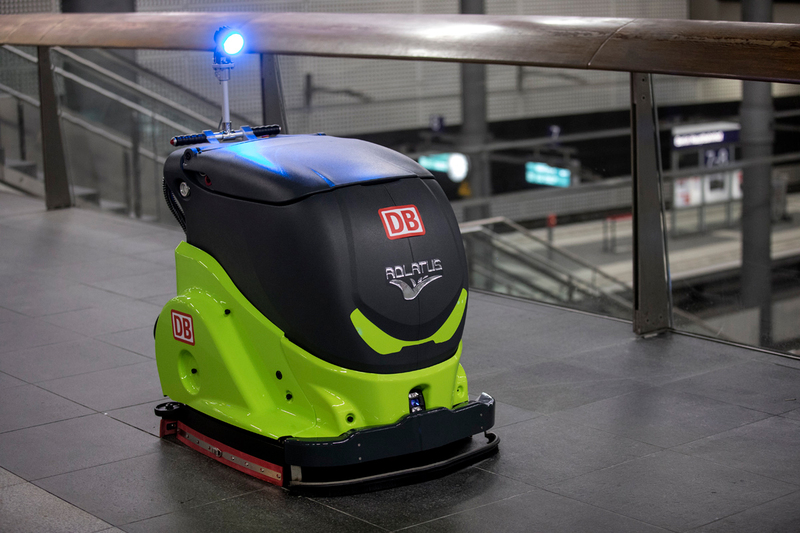 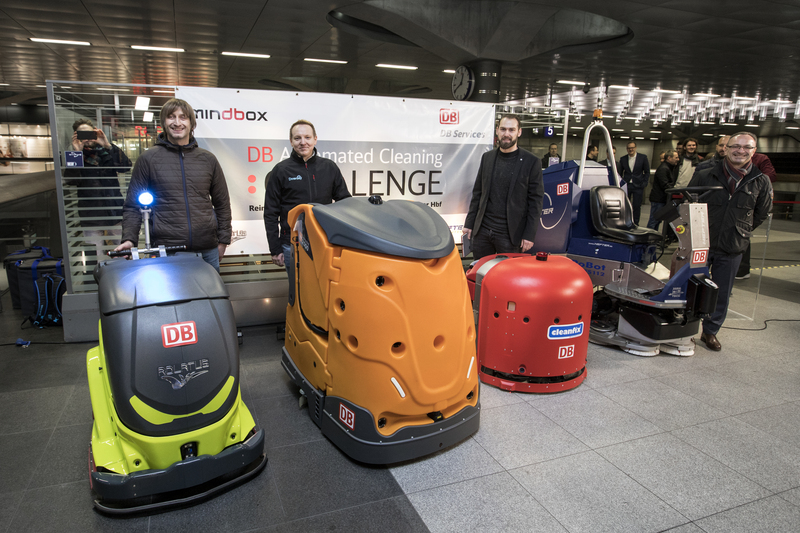 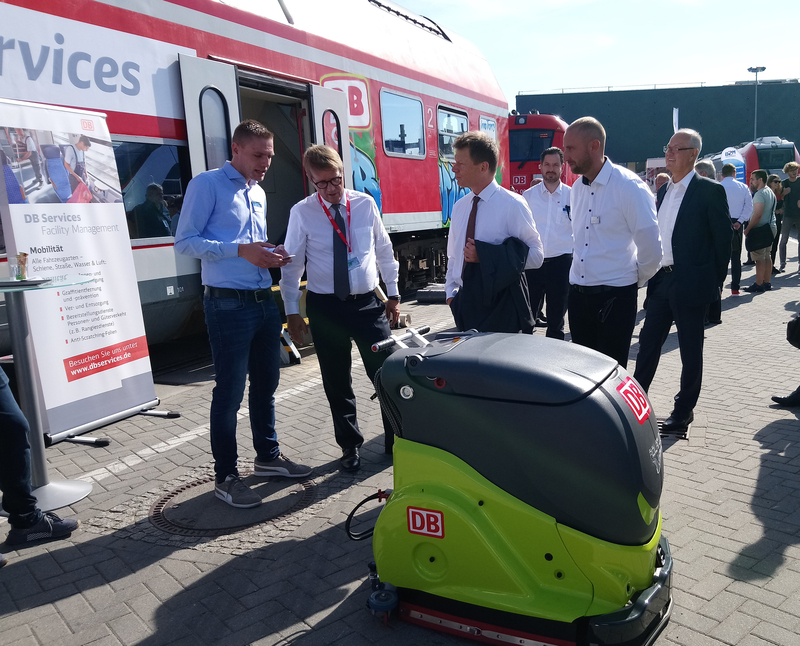 Great interest in our cleaning robot ADLATUS CR700 at the InnoTrans… Also the Directors Mr. Lutz (CEO) and Mr. Pofalla (Member of Management Board Infrastructure) of the Deutsche Bahn show their interest. 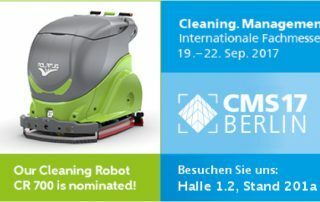 Visit us on our CMS stand! 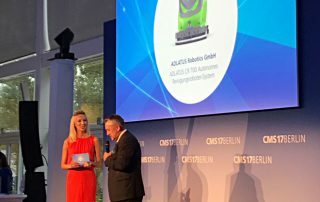 The joy of winning the CMS PURUS Innovation Award is still great. 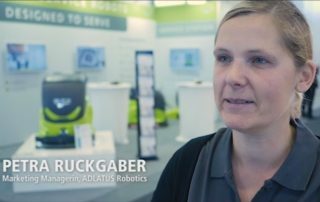 Celebrate with us and visit us until Friday on our booth 201a in Hall 1.2. 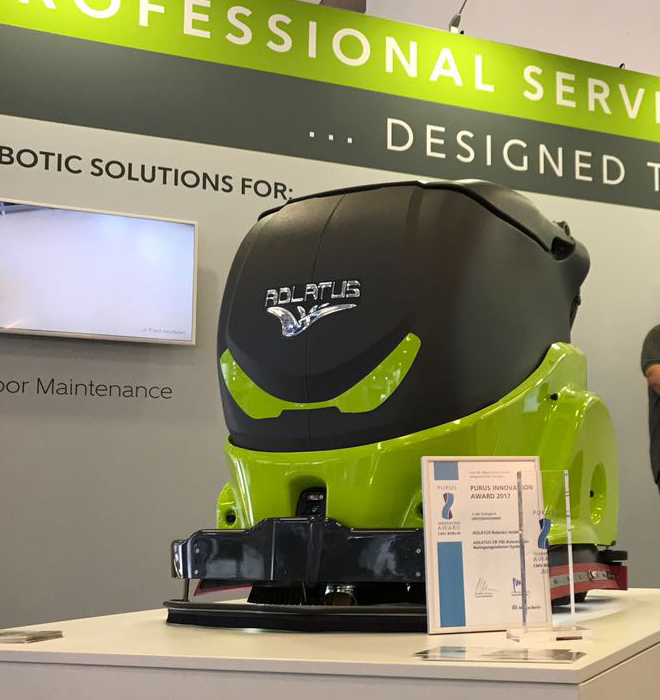 We are pleased to present you our excellent cleaning robot ADLATUS CR 700 including Servicestation.